So after 3 days at the box, what else is one to do but follow it up with a 4th? My one rep max is 335#, so I went fairly heavy today… 285#, 305#, 325#, and then for fun I tried 335# and decided it wasn’t worth it. 🙂 Then I climbed back down the same ladder I went up. I think when we test on deadlift for a new PR if I can figure out the switch grip, I’ll probably go up a little. 🙂 Need to work on that over the next couple of weeks. I went a bit light on these today… 145#, 165#, 185#, and then back down. 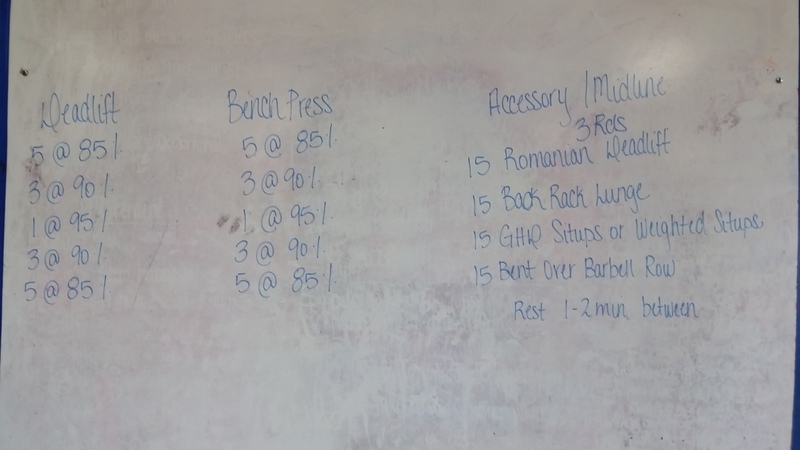 My one rep is 205#, so I only got to 90%, but there were a lot of folks today and I didn’t want to get in the way, so I kind of waited and did the Accessory Work after Deadlifts. 3 rounds of 15 of each movement with 1-2 mins between sets. I did these with 75# on the bar. 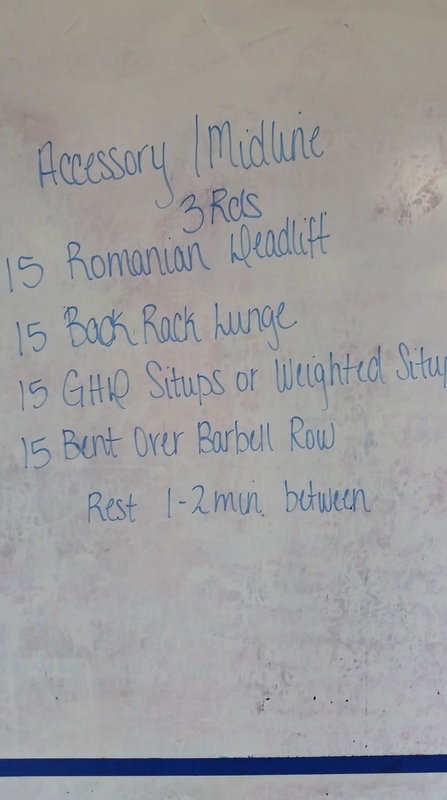 Because of my Gorilla body (long torso, short legs) I was able to reach all the way to put the bar on the floor each time, so the Romanian Deadlifts were fun. And I did a full set of GHD sit-ups today for the first time in a long time. I don’t have the lower back flexibility these days to reach the floor behind me, but I did ok. Unfortunately I only took the time to get through one full round and then a half a round before I started my bench presses. I did see the 9:30 class trickle in… Elyse, Andy, and Chad were getting ready to go while everybody else was finishing up. But it was a good workout today. Have a great day folks! Good work!